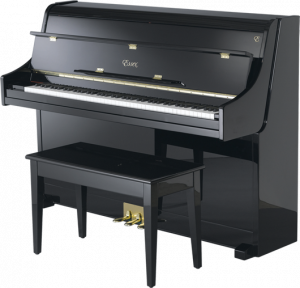 The Rodgers Classic Series 559 features 2 keyboard manuals with lighted tab controls and premium locking rolltop. 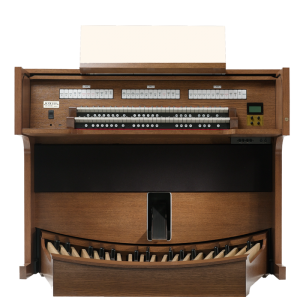 A stunning array of tonal possibilities is available thanks to the standard extended orchestral library and expanded voicing menus. 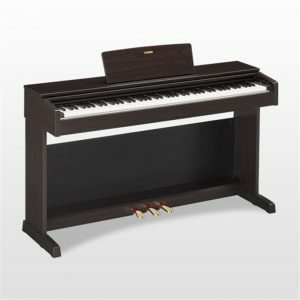 Plus with Rodgers’ unique 32-note velocity-sensitive radiating concave pedalboard you’ll have the ability to play expressive orchestral sounds such as timpani.